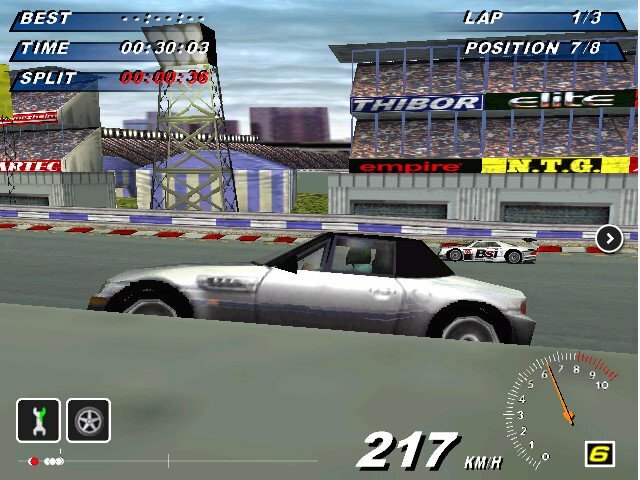 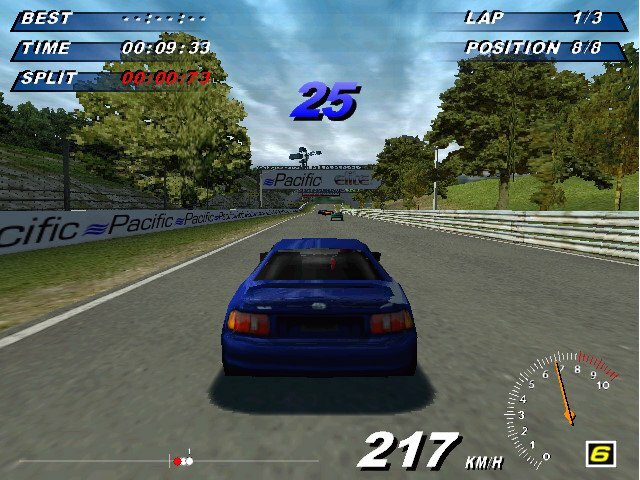 Think of Grand Touring as an updated, slightly improved version of Daytona USA. 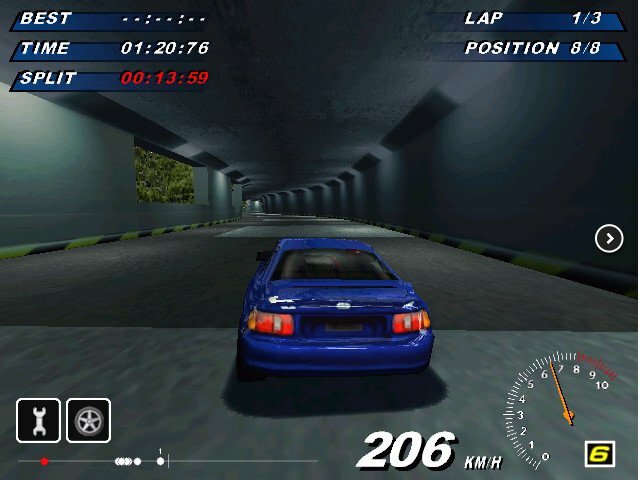 It’s an arcade racer through and through, with the general coin-op feel of the original. 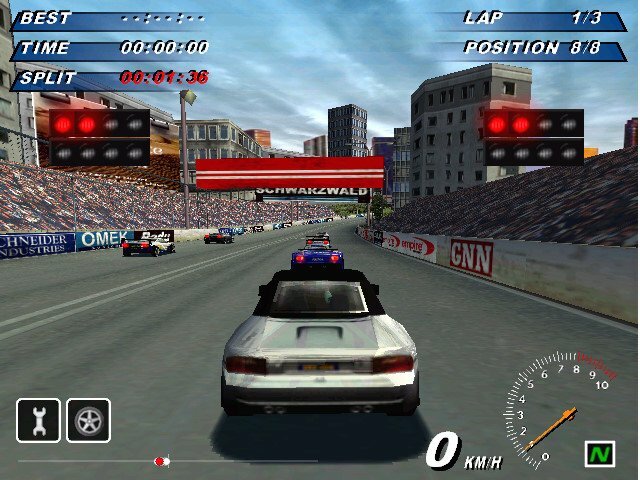 It features some 20 tracks, a bunch of cars with fake brands, multiplayer capability via LAN, and of course singleplayer races against AI-controlled opponents. 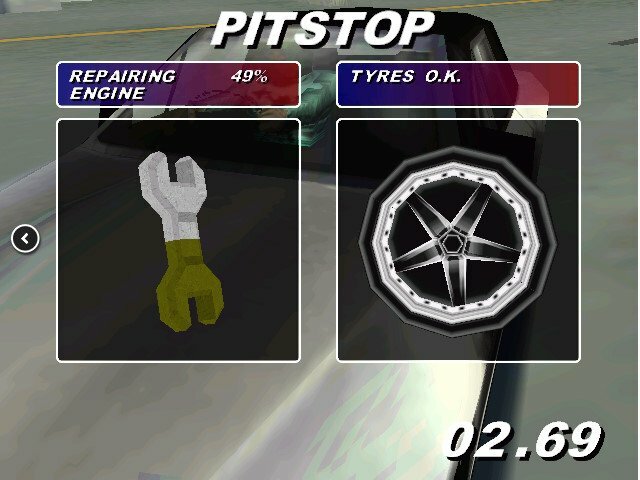 The graphics, however, are suitably retro. 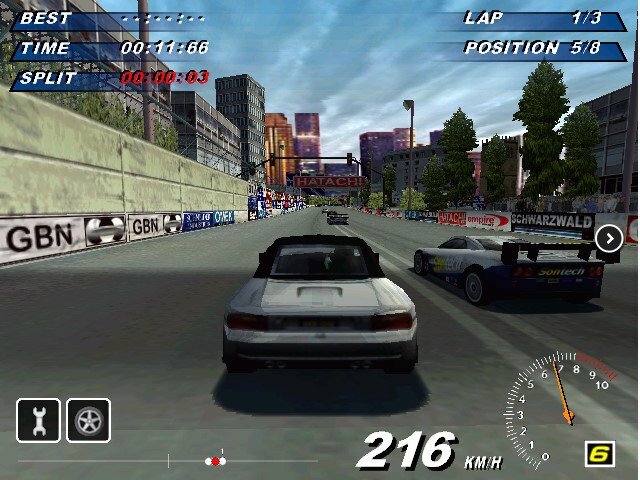 They remind one of Need for Speed 4, not a game that was released in 2003. 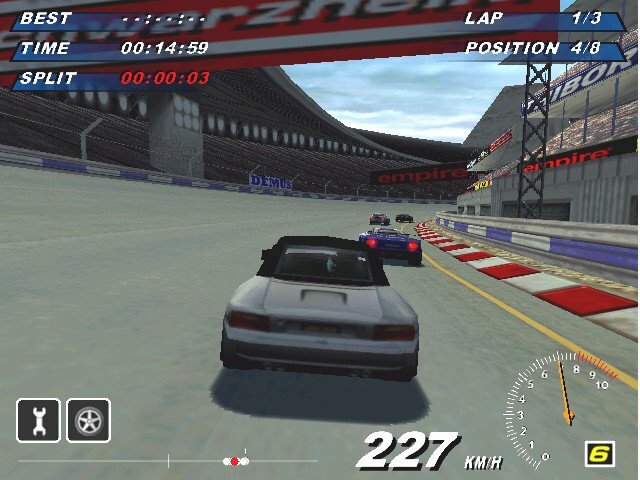 There are 2 game modes. 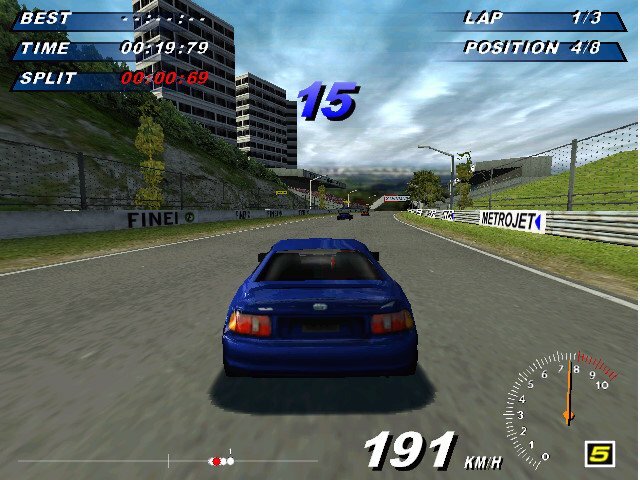 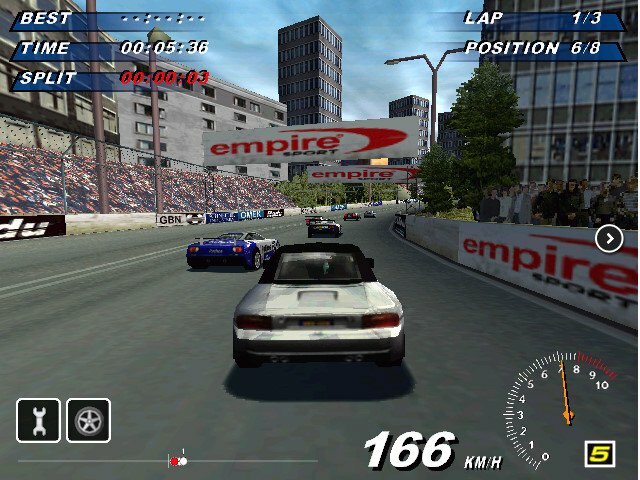 Arcade Mode consists of Checkpoint Mode (continuous racing getting from checkpoint to checkpoint before the time runs out) and Single Race Mode. 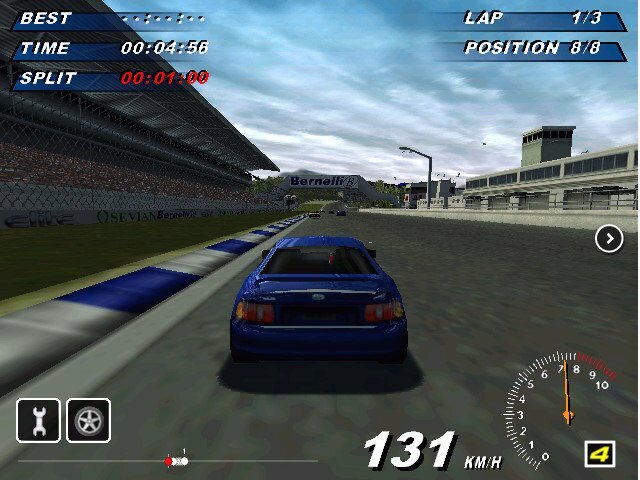 In Simulator Mode there are a 3 further options. Championship Mode will allow you to practice, upgrade and repair your car whilst aiming to win races and climb up the world rankings. 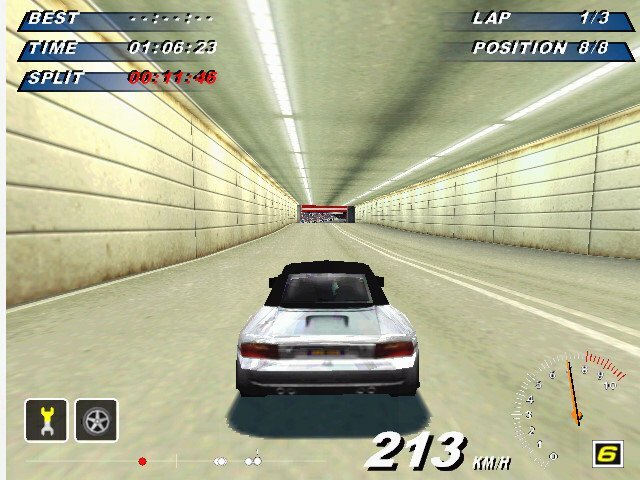 Auto Test Mode will put you on an obstacle course to allow you to test your car’s handling. 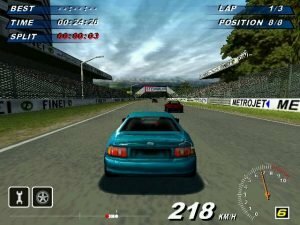 Finally, Multiplayer Mode will allow you and up to 7 friends to challenge each other across a LAN or serial connection. 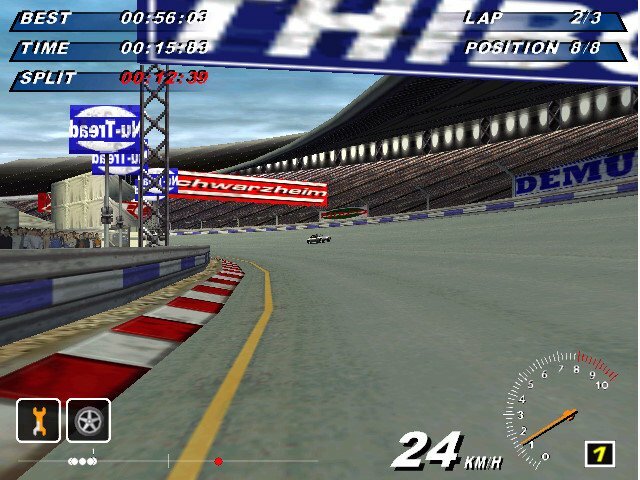 The race tracks themselves are all based on international Grand Prix tracks. 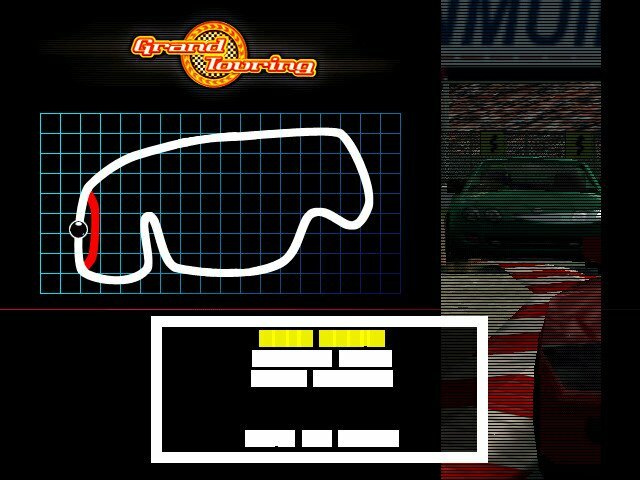 You also have the option to try these tracks in reverse (mirror image). 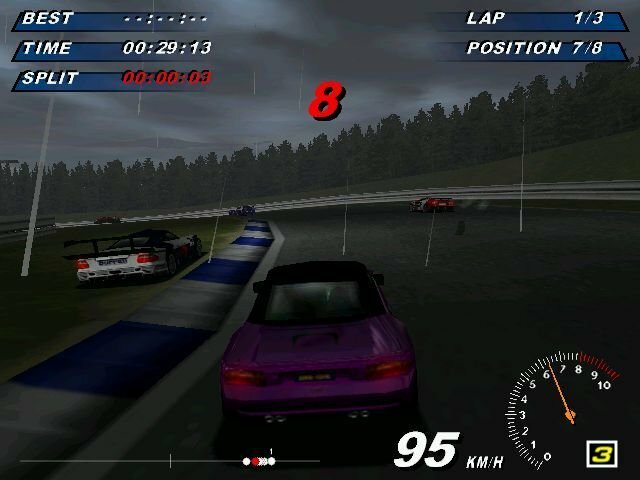 Different weather options are also available (rain, snow and dry) and you can also choose whether to race during the day or at night.